As the old saying goes: "An ounce of prevention is worth a pound of cure." The best approach to controlling your indoor allergy symptoms is to do everything you can to limit your exposure to common allergens you are sensitive to. Dust-mites, mold spores and dander can affect us all and can be harmful to the young, old and everyone in-between. Major universities, health organizations, and the EPA warn us against the harmful effects of exposure to dust mites, mold spores, dander and their allergens. Indoor allergens have a significant role in many asthma cases, and are a factor in various allergic ailments. Most people in homes across America and the world share their environment with common house dust mites and allergens. Keep those allergens outside by shutting your windows and switching on your air conditioner. Then, take it one step further by setting your air conditioner to recycle the air to avoid bringing in any new allergens. Many allergy sufferers believe they should make use of a humidifier in their bedrooms for moistening their airways while they are sleeping. However, the mist that comes out of the humidifier can settle on your carpet. As a result, mildew may form and mold spores may accumulate. Instead, use a saline spray prior to bedtime in order to keep your nasal passages moist. There are an estimated 40 million Americans who suffer from indoor allergies. 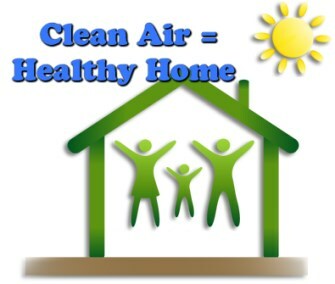 Here are some tips to keep your home healthy and allergen free. Keep humidity levels low in the home to keep dust-mites and mold under control. Wash your bedding in hot water, and mop the floors at least once a week. Be sure to vacuum regularly and routinely call upon a professional carpet cleaning service. Dust and sanitize all the surfaces in your home including furniture, this will help control the amount of dust-mites floating in your home. Reduce pet dander by washing your house pets weekly. Keep windows and doors closed to keep pollen out. Use an air filter and change it regularly. Relieve your allergies and breathe easier. Avoid carpet shampooers in Riverside, CA and go green with our soap and detergent free low moisture cleaning system. Call us at 951-787-8787 or toll free at 1-800-899-4054.